As a Doctor of Chiropractic and an Applied Kinesiologist, I would first rule out diabetes and hypothyroid by patient history, signs & symptoms and blood and urine tests. 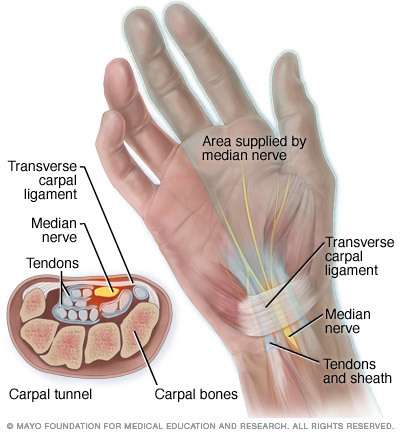 Compression of the wrist in arthritis would make the symptoms of carpal tunnel syndrome worse instead of making it better. And as course, since the median nerve is a branch of the brachial nerves coming from the 5th, 6th and 7th cervical nerve roots at the spinal level, I rule out problems in the neck and down the course of the nerve such as muscle entrapment and shoulder and elbow problems. 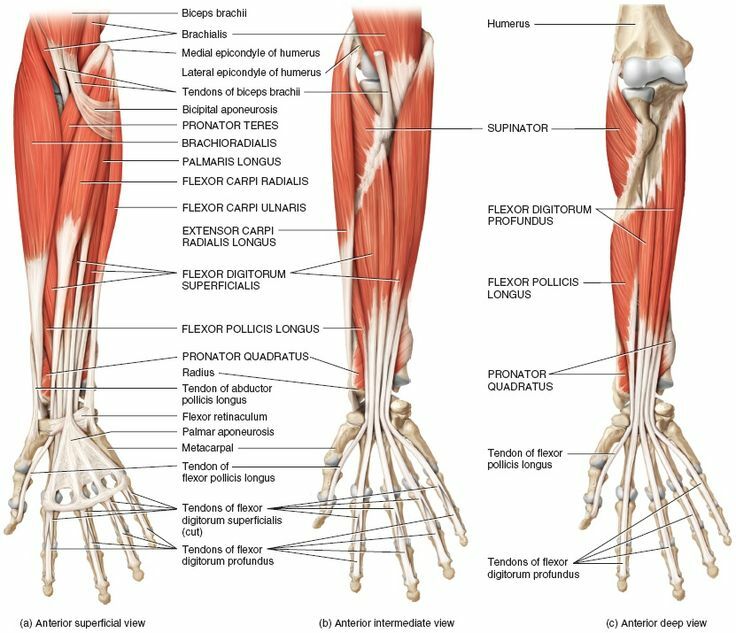 Treatment of the syndrome involves adjustment of the wrist bones and sometimes adjusting the way the two forearm bones (the ulna & radius) articulate with each other, balancing the muscles that cross the wrist joint in both flexion and extension. A wrist wrapping or a brace would be used for support and exercises for the wrist would be recommended. Nutritional support for the nerves and ligaments and a natural anti-inflammatory would be recommended to speed up the healing following the structural correction. By utilizing applied kinesiology and chiropractic, we can balance the body’s structure and chemistry utilizing and can solve many health problems by addressing the cause. Please feel free to call to schedule a consultation to discuss this or any other health issues you may have. This entry was posted in Uncategorized, west village applied kinesiologist, west village chiropractic, west village chiropractor, west village neurokinetic therapist, woman applied kinesiologist, woman chiropractor, woman neuro kinetic therapist and tagged 10011 applied kinesiologist, 10011 chiropractor, 10013 applied kinesiologist, 10013 chiropractor, 455 W. 23rd St, aol.com, applied kinesiologist, Applied kinesiology, applied kinesiology practitioner, bing.com, carpal tunnel syndrome, chelsea applied kinesiologist, chelsea chiropractor, chiropractic, chiropractor nyc applied kinesiology, chiropractors in chelsea nyc, diabetes, Dr. Vittoria Repetto, female applied kinesiologist, female chiropractor, flexion, google.com, http://www.icakusa.com, hypothyroidism, london terrace chiropractic, msn.com, muscle balancing, NYC, NYC 10011, NYC Applied kinesiologist, NYC chiropractor, sport injuries, sports applied kinesiologist, sports chiropractor - nyc, sports doctor - nyc, trans friendly applied kinesiologist, trans friendly chiropractor, west village applied kinesiologist, west village chiropractic, west village chiropractor, west village neuro kinetic therapy, woman 10011 applied kinesiologist, woman 10011 chiropractor, Wordpress, wrist, www.drvittoriarepetto.com, www.drvittoriarepetto.wordpress.com, www.twitter.com/drvrepetto, yahoo.com. Bookmark the permalink. I like to also adjust the elbows, shoulders, thoracic outlet and lower cervicals. Is there an age maximum for his patients or can i look him out to treat my grandfather’s back problems as well? There is no age maximum or age minimum for chiropractic treatment. And please note my first name Vittoria ends in an “a”, which means that I am a female. Please see my website http://www.drvittoriarepetto.com for contact info and office hours. It is good that you are getting the word out about this. Too many people want to rush in and go under the knife before exploring other non-invasive options like what you provide. Hopefully, people will read this post and realize that there are non-surgical options. much the same blog regarding joint inflammation. It’s most certainly worth looking over.